Last Friday, July 1st we updated the w&w shop with 6 new coordinating cutaways and Tuesday thru today we have tons of inspiration and a giveaway each day so be sure to read on to enter! For my last card of the Feature Presentation I wanted to begin by embossing the cutaways for a custom embossed background. On a panel of white cardstock I randomly arranged the cutaways from In Bloom: Eva's Favorite Flowers Cutaways and ran the panel through the Cuttlebug using an embossing pad. I was pretty happy with how deep the dies embossed and I hope you can see it in the picture. I stamped the flowers from In Bloom: Lola's Bouquet with Joni Andaya on patterned paper from an older 6x6 paper pad from Glitz Design (Brightside). I colored in a little with Copics. The stems were cut with In Bloom: Eva's Favorite Flowers Cutaways from the same paper pad and attached them to the embossed panel. I layered the flowers onto the stems on embossed panel at times using dimensional foam adhesive for depth. I attached the white panel to a slightly larger black panel which is then attached to a white A2 card base. Over the flowers I added "congrats" cut using The Big, the Bold and You Cutaways. Today I am joined by Gayatri Murali, our dear, talented friend, Kate Capper and July Leading Lady Diane Jaquay! Wait until you see what awesomeness they have in store for you! To see more from Diane Jaquay CLICK HERE. Simply comment on this blog post by Sunday, July 10 at 11:59 p.m. CST for a chance to win $50.00 credit to the w&w shop (each day of our Feature Presentation we will pick another winner for a total of 3 winners!). Don't forget to go to Day 1 of our Feature Presentation or Day 2 of our Feature Presentation to see some more incredible inspiration and comment for another chance to win. Be sure to return back tomorrow for our final day of inspiration and another chance to win! Those are just gorgeous! I love unique design of these cards. Awesomeness is right; the showcases by the DT are stellar! The new dies added to the family: only fabulous! Thank you! Wow! I missed day 1 and 2 and will have to go back. These are gorgeous cards and I'm so excited about the new die sets for some of the stamps I have! Such Terrific Creations! Love the custom embossed idea, such awesome beauties here with new dies!!! Love them all! Oh my, this is awesomeness and gorgeousness overload. Love it all! What lovely projects! Love the look using the dies for a custom embossed background!! Just stunning, each and every one! Oh what wonderfully creative cards! You guys are so inspiring! Beautiful cards. I love the colors in the hello card. Awesome card ideas! Love all these gorgeous florals! Lovin' the new dies! All of these floral cards are fabulous! I'm drooling. I love botanical stamps & want them all. Love how easy these dies make it to layer the flowers! So many great projects! The backgrounds are especially wonderful ! Love these beautiful cards!! The clusters of the pretty flowers are just wonderful. I love W&W florals (I was creating with them last night). So glad to see the Cutaways now too. Fabulous cards by the DT's today. Absolutely beautiful! Love all of the card examples. I must get the dies for Addie's Garden. It will make layering the flowers easier. Beautiful cards, Ladies! Another day of incredible inspiration and ideas from everyone!!! 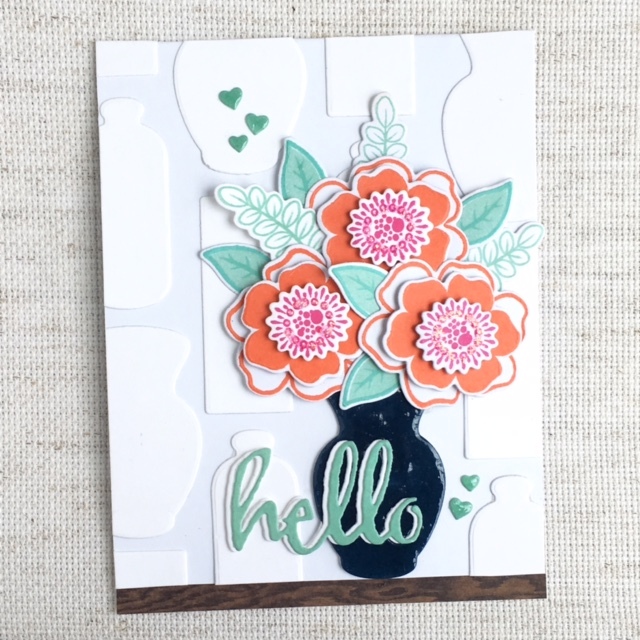 Gorgeous cards and love the look of the die cut flowers! Fabulous cards using these fabulous new cutaways!!! Love them all!!! I love the new dies, there are perfects!!! The Team's cards are gorgeous! I'm so excited about the new Cutaways! Awhhh, these cards are wonderful, they are evidence that flowers never, ever go out of style, especially if they are as dreamy as these stamps. Love them. Cheers! Love all the flowers. Thanks for the inspiration. The cards all look so pretty. 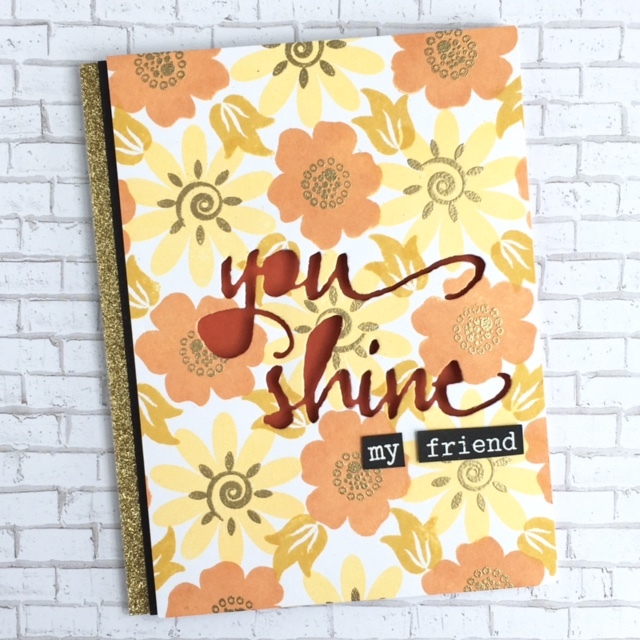 Beautiful floral cards and get sentiments! Gorgeous cards ladies! So loving all the flowers! 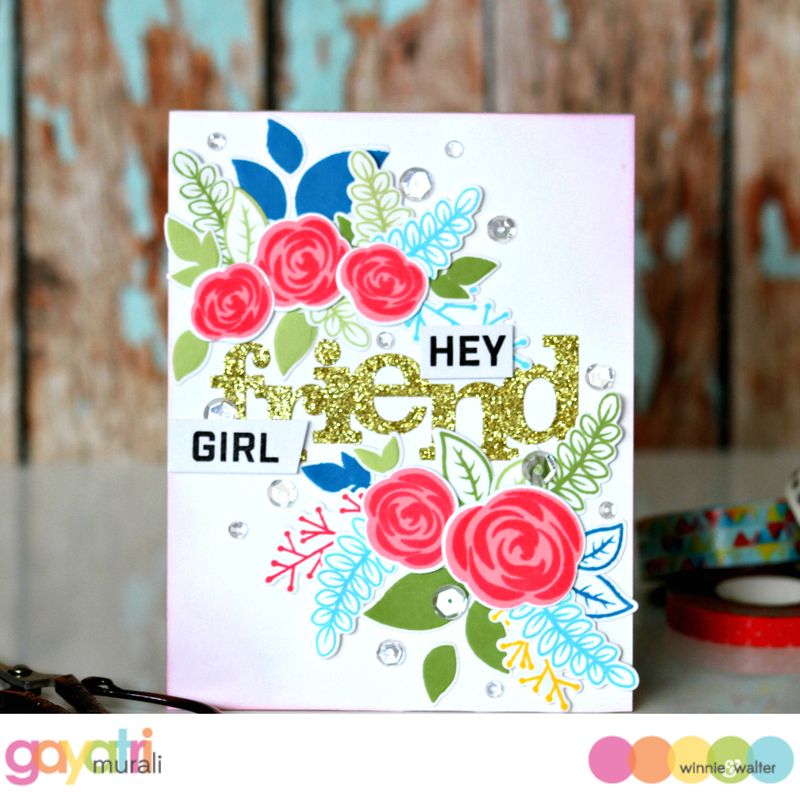 Gorgeous cards and awesome inspiration, love the dry embossed background Shay! Each of these fantastic, beautiful and definitely eye-catching cards is creative, original and just shows us such great and fun ways to use these new cutaways!!! So excellent!! Such fabulous inspiration! Can't wait to get some of the new cutaways! I am enjoying these FLORAL DELIGHTS!!! SO INSPIRED by the BEAUTIFUL designs!!! I love how the blooms look embossed! Such lovely texture! Wow! 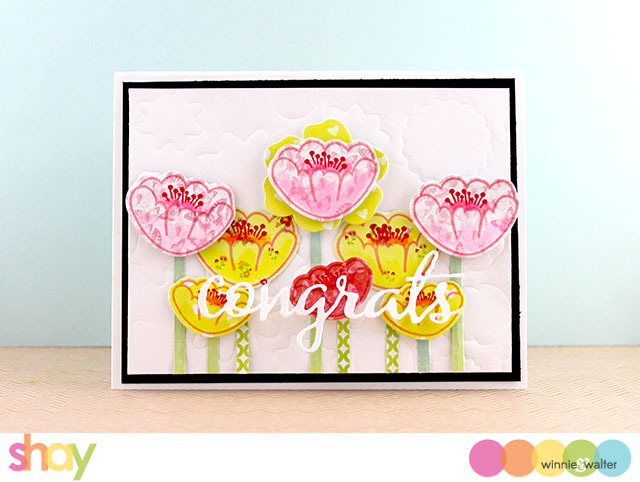 those flowers are so pretty and I especially love the card in yellow and pink! Beautiful dies and designs! I love the teal and orange together on the last one! Wow!!!!! Absolutely gorgeous creations!!!! These blooms are so beautiful!!!! Beautiful floral cards! The new cutaways add such great dimension! I love all the cards. The first card I adore. The background embossing I can not wait to do. Thanks for all the inspiration. WOW!!! They all are just Wow-mazing and gorgeous inspiration projects! i'm ALWAYS looking for great new dies! yay! WOW! Beautiful floral cards! Love the new dies! Beautiful cards!! Awesome work by the DT!! Another round of gorgeous cards! Thank you Diane for reminding me that you can create gorgeous backgrounds using die cuts to make stencils :)!